I was asking Marisa if she had any suggestions for omelettes or quiches or something because I have lots of eggs. Having more then enough eggs then you know what to do with is a good problem. I have quite a few friends who have chickens, so we have eggs at our disposal. One great thing to make with eggs, and use up all the vegetables you have in your garden is to make a quiche! You can do quiche 2 ways. You can do a crustless quiche which a lot of people I know do. You can use a cast iron skillet and do the quiche right in that and then kind of flip it out. Then you have no crust. to help it stay close together. Vodka helps it stay flakier. So when you’re doing your pie crust, you can do it by hand, you can do it in the food processor, there’s a lot of different ways you can do it. But its really great if you have big smears of butter kind of in it. Then that helps it become this beautiful pie crust once it’s been baked. Use your favorite pie crust recipe, roll it out, put it in a pie dish and use either use beans, lay foil down and lay some dried beans or pie weights. What kind of dry beans? Like pinto beans? I happen to have a jar of black beans, that I use just for pies, because once you bake them you can’t really use them anymore. You have your pie crust, put your pie crust in it, put a piece of foil over it, and then put the beans in it to act as a weight. You do it only when you need to bake the crust by itself first. They have pie weights you can buy, but I’ve always used just dry beans. What you wanna do is bake the pie crust off a little bit before you put the egg mixture in it. And I only bake it off about 20 minutes just to start on it, cause it’s gonna continue baking once you put the quiche in the oven. So 20 min at 400 degrees and while it’s in there you can make your quiche filling. So you crisp up bacon, sprinkle it over the bottom of pie crust once it’s out, sprinkle caramelized onions over that as well, and then you can take however many eggs, I think 8 eggs works, and heavy whipping cream or half and half, or what ever dairy products you want to add in, I’ve even used almond milk before. Whatever fresh herbs you want to use and it would be really great to cut up some chives or spring onions in there too. Then you just very and gently pour the egg mixture over the bacon and the caramelized onions. Then you can take a log of goat cheese and slice it up, and put slices of goat cheese over the top of the quiche or crumble with fingers over the top and put in oven to bake at 350 for 45 min to an hour until the middle of the quiche is firm. Then you take it out and let it cool off a bit. Then just cut it, slice it right like a pie you have this great little breakfast or lunch, it’s great to take to a party. Any time I host or go to a bridal shower or party, I always make a quiche or two. But what a great way to use up your leftover veggies that you don’t know what to do with you can take some cooked squash and put it in there, you can do onions, you can do tomatoes, eggplant, zucchini, whatever you have on hand. You just chop it up,add a little bit of cheese, you can either add to egg and milk mixture or sprinkle the cheese on top it’s really just a matter of personal preference. One of my favorite things is to soft boil eggs, which is in 6 min. Hard boil is probably 9 min. One thing which a lot of people don’t know is eggs make better hard boiled eggs the older they are. So if you have a chicken that has just laid an egg this morning, that’s the worst egg you could possibly use to try to hard boil. It will taste fine, it’s just really hard to peel. You can combat that by putting a couple of drops of vinegar in the water as you boil it, or just use older eggs for hard boiled eggs, so just keep on hand older eggs and the oldest ones in your fridge are the ones to hard boil. One of my favorite breakfast, very european, a hard/soft boiled egg with some meats and cheeses, like a little yogurt and fresh fruit! A Continental breakfast if you will. Those are all great different ways to use eggs up! They work out pretty well. Quiche is a great sort of a garbage dump of a dish,m cause anything tastes good in it! You can add leftover cooked chicken or turkey, or leftover sausage, and then mushrooms or whatever leftover vegetables you have left over from the night before. I like quiche to take to pot lucks cause it’s easy to transport. It’s really easy to transport especially if its already cooked at your house! The great thing about quiche is it’s definitely better hot or warm, but it’s not too shabby cold either! I was gonnna ask you about if you don’t have a crust, putting it in the cast iron skillet in the oven, you just put the skillet in the oven right? Yeah, you put the cast iron skillet right in the oven. Another great meal cooked from the garden with Marisa from the Kitchen in Missoula! Don’t forget to sign up for Megan Cain’s Make Your Garden Harvest Last All Year 7 Day Challenge from the Creative Vegetable Gardener! Starts on Sunday August 23rd! 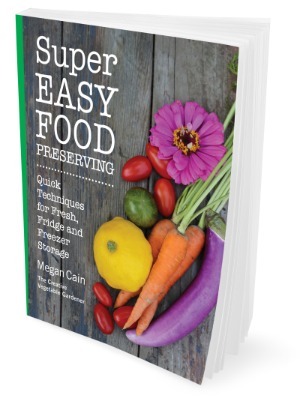 Megan also said she was going to donate a copy of her book Super Easy Food Preserving Book! To enter the contest enter a comment below before Sunday • August 23, 2015 and tell us what you’re excited to preserve! 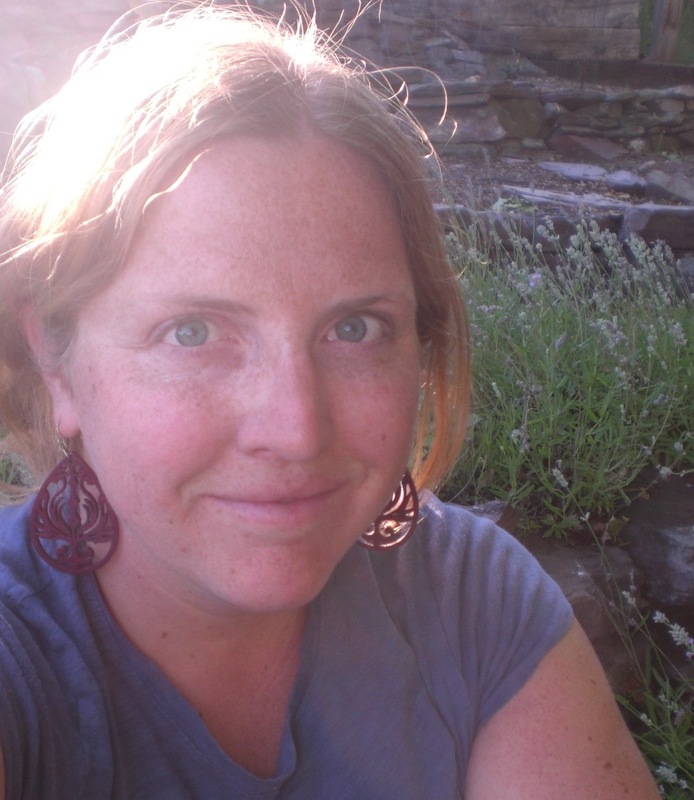 I want to encourage everybody to connect with Megan on Facebook. I also want to encourage you to sign up for her email!